Jeff Swensen/Getty ImagesAn Uber driverless Ford Fusion drives down Smallman Street on September, 22, 2016 in Pittsburgh, Pennsylvania. 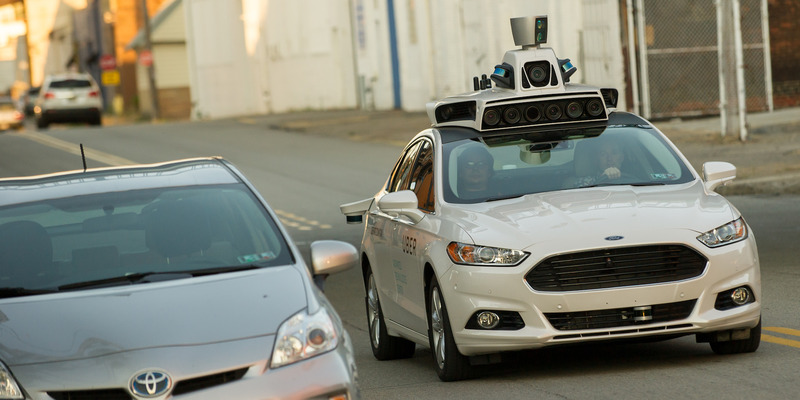 The future of Uber’s business is riding on self-driving cars. Uber’s financial disclosures provide an unprecedented look at the inner workings of the firm, and how it’s thinking about its future. On Thursday, Uber finally filed its S-1 paperwork to go public in the coming weeks, offering an unprecedented look at the inner workings of the ride-hailing company. It also provides fresh insight into how the Silicon Valley mega-startup views the promise – and perils – of autonomous vehicles. In 2018, the company spent $US457 million on its autonomous vehicle-focused Advanced Technologies Group (ATG) and other tech initiatives – including Uber Elevate, its futuristic urban aircraft program. Long term, Uber hopes the self-driving car tech will allow it to end its dependence on human drivers in favour of a fleet of cheaper autonomous vehicles that don’t need to be paid wages. But despite investing hundreds of millions of dollars in self-driving car technology, Uber still warns that it might screw up – and says it expects its competitors to be able to commercial ise the tech “at scale” before it can. “We have invested, and we expect to continue to invest, substantial amounts in autonomous vehicle technologies. As discussed elsewhere in this prospectus, we believe that autonomous vehicle technologies may have the ability to meaningfully impact the industries in which we compete,” the company wrote. Uber calls out Google cousin company Waymo, Cruise Automation, Tesla, Apple, Zoox, Aptiv, May Mobility, Pronto.ai, Aurora, and Nuro as the companies all racing to conquer the self-driving mobility market – citing Waymo as a particular threat due to the development of its commercialized fleet. “In the event that our competitors bring autonomous vehicles to market before we do, or their technology is or is perceived to be superior to ours, they may be able to leverage such technology to compete more effectively with us, which would adversely impact our financial performance and our prospects,” it wrote. Similarly, even sourcing parts and securing suppliers could prove problematic in the experimental field, it warns – especially in the event of external events like currency market fluctuations, new tariffs or trade wars, or theft. This prompts another, related risk: The pursuit of autonomous technology might spark discontent among Uber’s existing base of human drivers, with unpredictable consequences. The efforts may “add to Driver dissatisfaction over time, as it may reduce the need for Drivers,” the S-1 warns. The disclosures echo earlier remarks by former CEO Travis Kalanick, who described the technology as an “existential” risk to the company.